Hello, If you are reading this post, then it means that you are having some difficulty with applying for your U.S. visa or renewing your U.S visa in Nigeria. Questions like: “how much is the US visa fee in Nigeria”, Can I travel to the US with a visa that is about to expire”, How many days in advance should I apply for US visa and some more will be answered here. Let’s get down to it. Q1: What is Visa Appointment? For Nigerians who want to apply for a U.S. visa, they will be required to apply in person for a one on one verbal visa interview at the U.S. Embassy or Consulate in Nigeria. To learn how to book an appointment, read these posts: “How to book an Appointment for U.S Visa in Nigeria“and “How to Schedule U.S. Visa Appointment for Family in Nigeria” . Q2: How much is the U.S. Visa Fee in Nigeria? Q3: What is Visa Dropbox? The Interview Waiver Program (IWP) also known as the drop box program allows certain Nigerian U.S. visa applicants who want to renew a visa in the same category of a visa previously issued by a Consulate/Embassy in Nigeria to be considered for a non – appearance for the visa interview. Waiver of personal appearance is not always definite as consular officers retain the authority to interview any applicant who they determine requires a one on one interview. Q4: Can I Travel to U.S with a visa that is about to expire? If you look at the visa stamp on your international passport, you will see that there is an expiration date on it. Unless that visa is canceled voided or canceled, a visa remains valid until the written expiration date. Usually when Nigerians are issued a B1/B2 tourist visa, it lasts for 2 years. So until the expiration date arrives, you are allowed to travel to the United States of America at will. Q5: Can you Renew your U.S. Visa before it expires in Nigeria? Yes you can renew your U.S. visa before it expires. For instance, if your U.S. visa is to expire on the 12 of November 2018 but you intend to be in the United States of a conference that starts on the 5th of December 2018, you can apply that your visa be renewed before it expires on the 12 of November 2018. Further more, your visa is still valid even if the passport it is in has expired. All you will have to do it to attach a new international passport with the old one that has the valid U.S visa. This way, you will still be able to travel abroad. Q6: How many days in Advance Should I apply for U.S Visa? The U.S. embassy recommends that all applicants start the visa application process about 3 months in advance of their expected date of arrival to the United States. This also goes a long way to show consular officers that you adequately prepared for your trip before beginning the process. Q7: What are the documents required for visa Interview? Your original passport that has a 6 month validity beyond your expected date of arrival in the United States. You are to bring all old international passports as well. One passport photograh ( See picture requirement on this post “U.S Visa Photo Requirement in Nigeria). Confirmation page of the U.S DS 160 visa application. Proof of visa fee payment from Guaranty Trust Bank in Nigeria. A printout of the U.S interview appointment latter generated from the CGI platform. For other supporting documents, check out our post here “9 Documents you must bring ti your U.S. visa interview” . Q8: How Long does it take for U.S visa Interview? On your appointment confirmation letter is the date and time for your interview. You should arrive at the Embassy or Consulate at least an hour before the stipulated time on your appointment letter. If you are late for at least 30 minutes prior to the time shown on your appointment letter, you may not be admitted and this will lead to the cancellation of your appointment. And you will have to pay another visa fee to reschedule the interview. The actual interview with a visa consular could last from 5 minutes to 3 hours. Q9: How long can you stay in the U.S with a B1/B2 Visa? The maximum that you can stay on a B1/B2 visa in the United States is 6 months. Ensure that you do not overstay the period that you indicated while you were filling out your U.S DS 160 visa application form unless you are permitted by an immigration officer as this can become a problem for you when you are renewing your visa. Q10: Can a tourist visa be Changed to a Work Visa? A tourist visa can only be used for the reason it was applied for. Therefore, you cannot seek employment and not expected to work using a tourist visa. If you are caught employed in the United States using a visiting visa, your visa will be revoked and you will be deported back to Nigeria. Q11: How do I apply for American Visa in Nigeria? How to Apply for U.S Visa in Nigeria. A Step by Step Guide to U.S Application for Nigerians. Q12: How much does it cost to get a Nigerian passport? Nigeria international passport for Age 0 -17 years costs N10,750 (32 paged booklet). Nigeria international passport for Age 18 -59 years costs N17,000 (32 paged booklet). Nigeria international passport for Age 60 years and above costs N10,750 (32 paged booklet). 64 paged Nigeria international passport booklet for all ages costs N22,000. Q13: Can I Reschedule My Visa appointment? Yes you can reschedule your U.S. visa appointment interview. However, you can use the same MRV fee receipt only once for scheduling an appointment and you can cancel or reschedule an appointment only twice. This is to say that the MRV fee receipt will be inactive after you have cancelled or rescheduled an appointment 3 times. Q14: Which countries are Visa free for Nigerian Passport holders? Q15: Can you go to Nigeria without a Visa? To visa Nigeria, all visitors are required to have a visa. You will not be leave Nigeria unless you can show proof of your entry visa. For Nigerians who are dual-national citizens are now required to have a valid Nigerian passport in order to depart the country. I hope this post has been of help to you. If you have any questions or contribution kindly use our comment area. All the best. 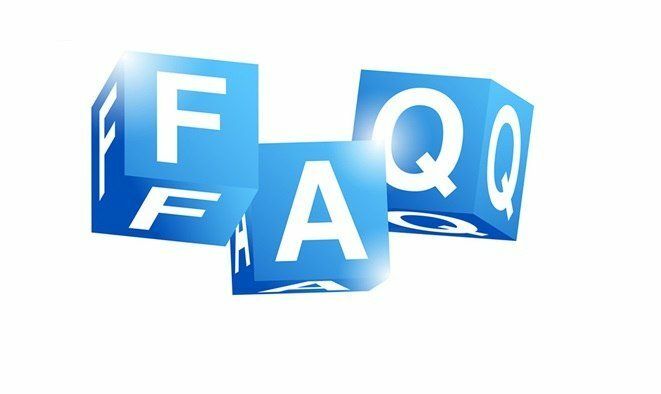 Tags: can a tourist visa be changed to a work visa?, can i reschedule my visa appointment?, can i travel to u.s with a visa that is about to expire?, can you go to nigeria without a visa?, can you renew your u.s. visa before it expires in nigeria?, how do i apply for american visa in nigeria?, how long can you stay in the u.s with a b/b visa?, how long does it take for u.s visa interview?, how many days in advance should i apply for u.s visa?, how much does it cost to get a nigerian passport?, how much is the u.s. visa fee in nigeria?, what are the documents reuired for visa interview?, what is visa appointment?, what is visa drop box?, which countries are visa free for nigerian passport holders?